Aladin Mess is located on the second floor of Fu Hing Building on Russell Street and is only a 3 minute walk from Causeway Bay MTR Station. The restaurant was first opened in 2000 and is halal certified by The Incorporated Trustees of the Islamic Community Fund of Hong Kong. Customers of Aladin Mess always recommend the range of curry dishes and nan bread. There is also a great variety of dishes for vegetarians. As for beverages the mango lassi is always popular. Islamic Center Canteen can be found in Wan Chai and has been opened since 2005. The Islamic Center Canteen is the only Cantonese halal restaurants in Hong Kong and the food is certified halal by the Islamic Community Fund of Hong Kong. The restaurant is famous for its clever Dim Sum recipes where pork is substituted with beef, chicken and seafood. It’s definitely worth taking the time to enjoy Dim Sum at this restaurant. Oh Food Arabic Halal Cuisine restaurant is conveniently located 3 minutes from Wan Chai MTR Station and serves delicious Arabic food with great value. The restaurant is small and decorated with Arabic decorations. The menu serves traditional Arabian cuisine. Popular dishes of the restaurant are Hummus and chicken wings starters as for main course Chicken Sheesh Taook and Lamb Rack are also tasty. 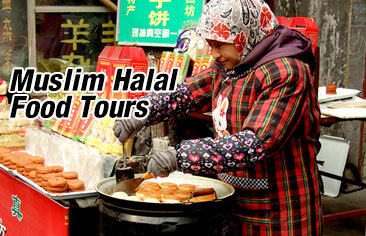 Islam Food Restaurant has been opened in Hong Kong for 60 years and is well-known amongst locals of Hong Kong. Every day there is a queue of customers waiting to be seated for their scrumptious Halal cuisine. The Islam Food Restaurant is famed for its delicious beef patties and curry beef brisket which is the most popular dishes. Ma’s Restaurant is one of the highly recommended Halal restaurants in Hong Kong. The restaurant serves great chicken, beef and mutton curries, also you must remember to order the signature beef pancakes. The mutton soup and beef dumplings are also very appetizing. Hyatti Restaurant is a great alternative option for those who want to try Mediterranean Halal food. The small restaurant is run by Ms. Tam and her Egyptian husband. The menu offers customers a great variety from pizzas, pasta, seafood, kebabs and grills. 1454 Ottoman Mediterranean Cuisine is great for authentic Turkish cuisine. The kebabs and fresh salads are popular with customers. The best dishes to order are theBBQ Kebab Plate, Chicken Donner, Ottoman Salad and Baklava.